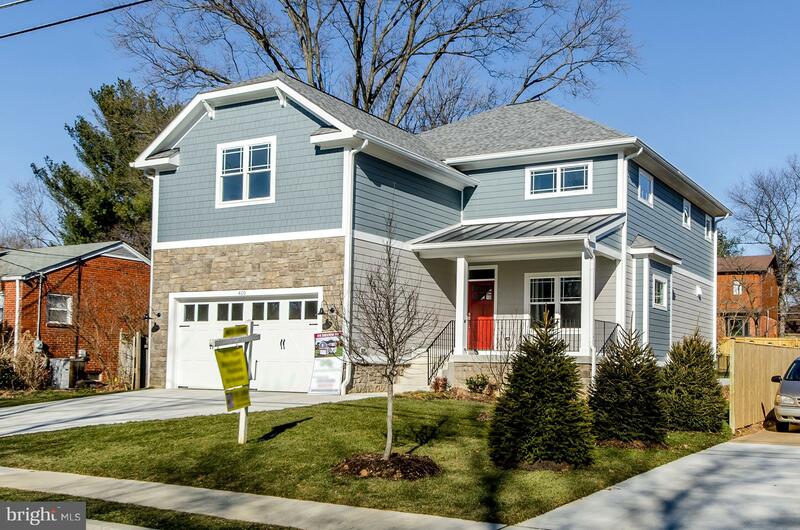 *** Falls Church City Schools *** NEW CONSTRUCTION HOME *** Ready for Occupancy!! Start the Year off right in this Beautiful 3 Level Designer Craftsman Home w/ over 4,000 sq ft of living space. Featuring potential 7 Bedrooms & 5 Bathrooms, Gourmet Kitchen w/ Granite Counter tops & Island, Family Room w/ Fireplace, Barn Door entry into Study/Main level Bedroom. Large 2 car Garage. Private Fenced Backyard. Only one block to Thomas Jefferson Elementary School. 4-5 Blocks to downtown Falls Church City, Cherry Hill Park, Library, Farmers Market and all the Little City has to offer!! © 2019 Bright MLS. All rights reserved. Information Deemed Reliable, but Not Guaranteed. Listing information is from various brokers who participate in IDX and not all listings may be visible on the site. The property information being provided is for consumers personal, non-commercial use and may not be used for any purpose other than to identify prospective properties consumers may be interested in purchasing. Listing courtesy of Weichert, REALTORS. Data last updated on Wednesday, April 24th, 2019 03:56:31 PM.